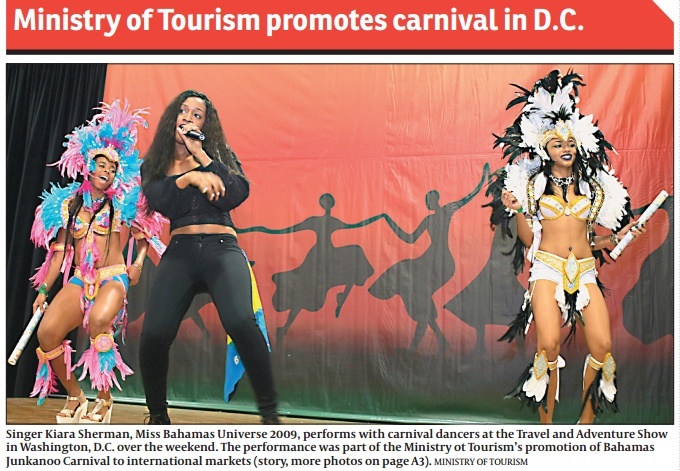 #THE Ministry of Tourism launched its 2016 Junkanoo Carnival marketing campaign in Washington, DC, over the weekend, showcasing the anticipated event to thousands at the Travel Adventure Show. #The promotion coincided with Jet Blue offering direct flights from Washington’s Reagan National Airport to the Lynden Pindling International Airport. The service will be offered daily until May 3. 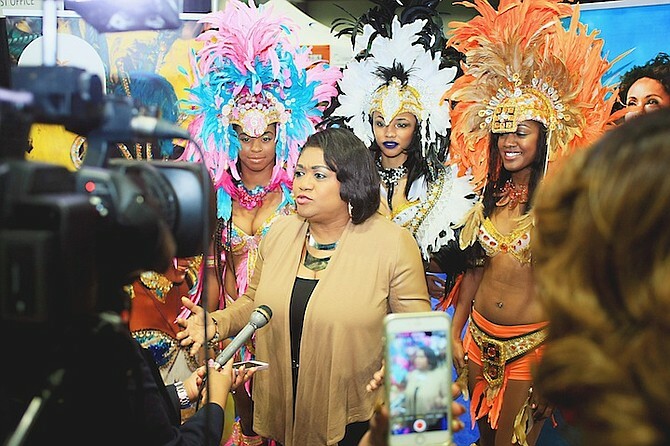 #Ms Zonicle said the response so far has been “so great” that she expects a “large grouping of persons” will travel to New Providence and Grand Bahama for this year’s Junkanoo Carnival. 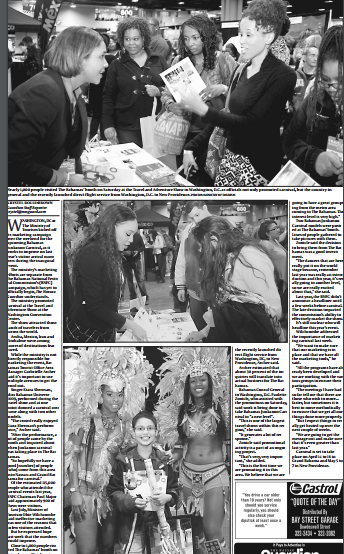 #“This is one of the largest shows in the region and so each year The Bahamas participates and it puts us out there. As consul general I am honoured to share this experience because it makes me even more excited about going back to the Bahamas because of the beauty. These shows generate a lot of response,” Ms Zonicle said.